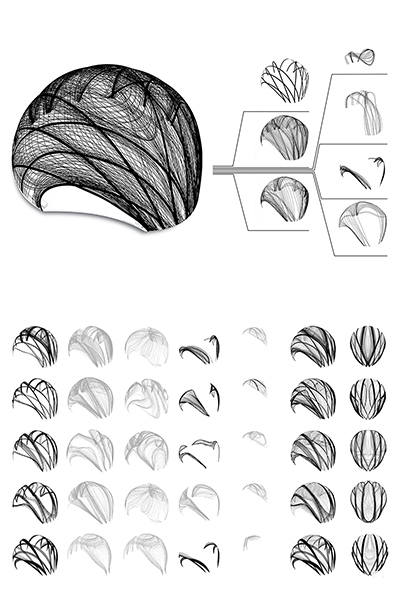 ICD ITKE ResearchPavilion14-15 from ICD on Vimeo. 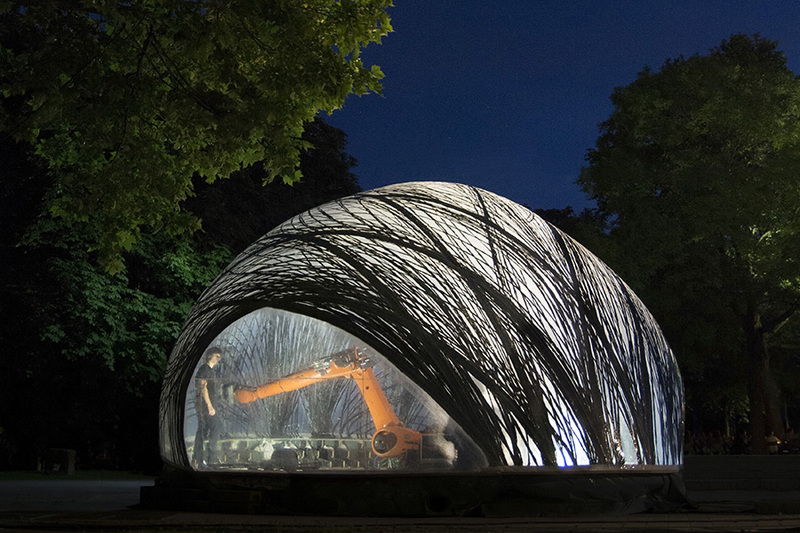 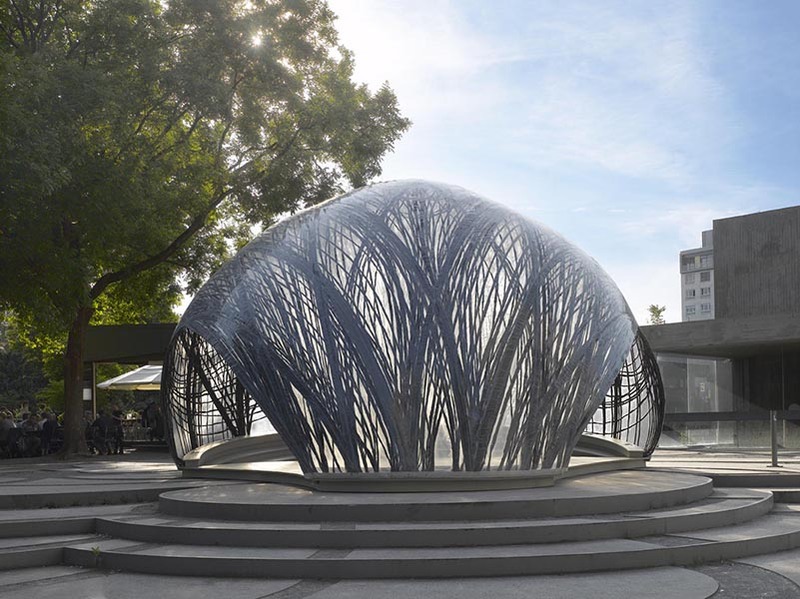 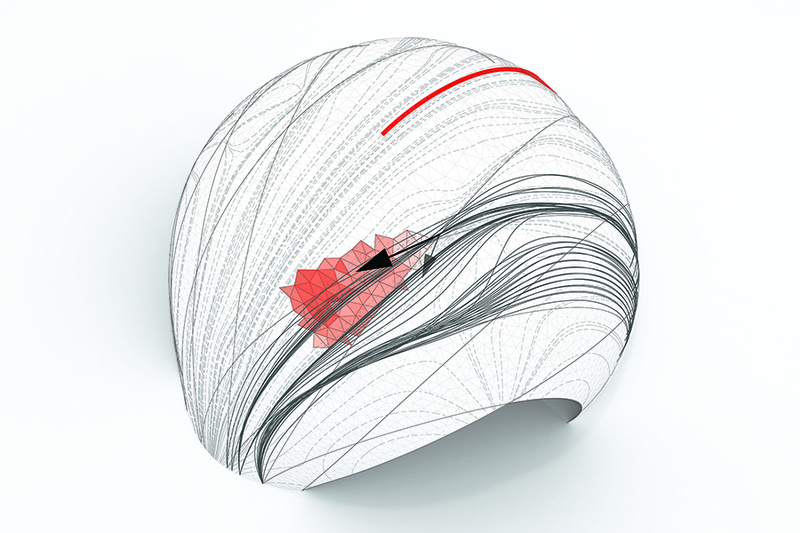 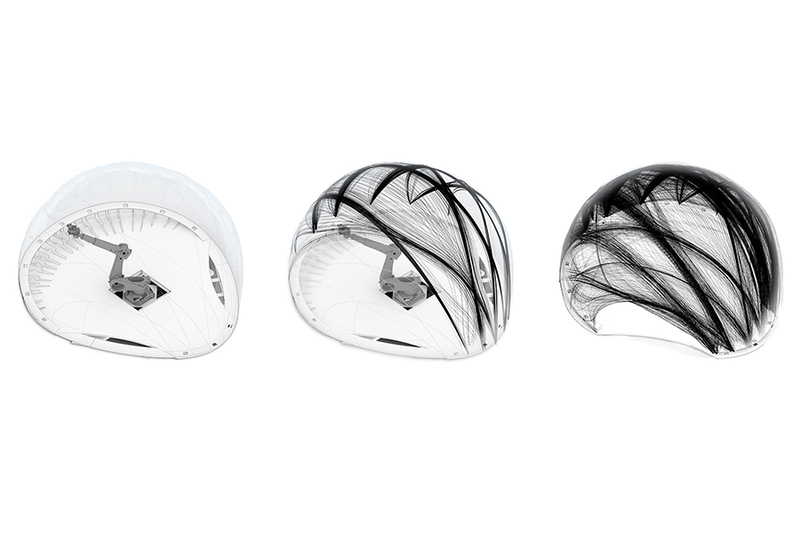 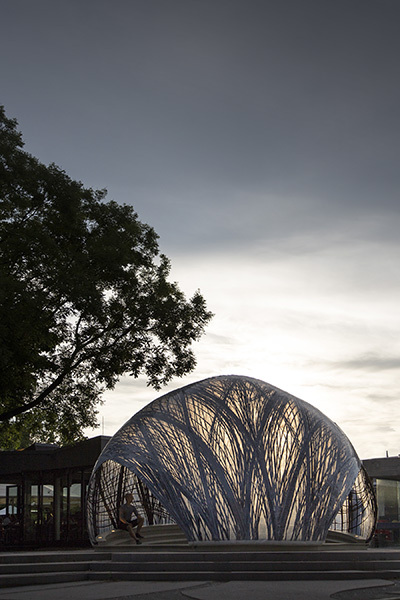 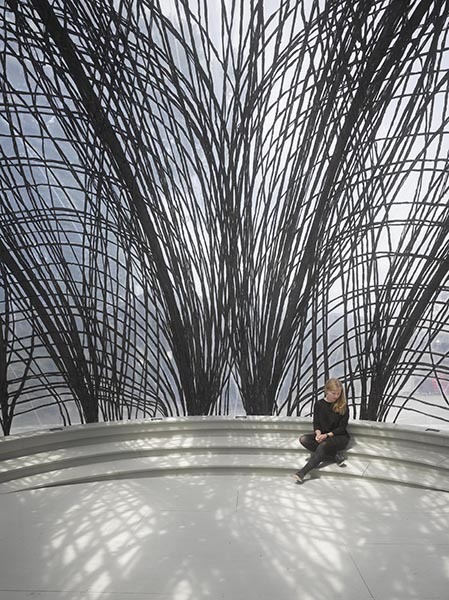 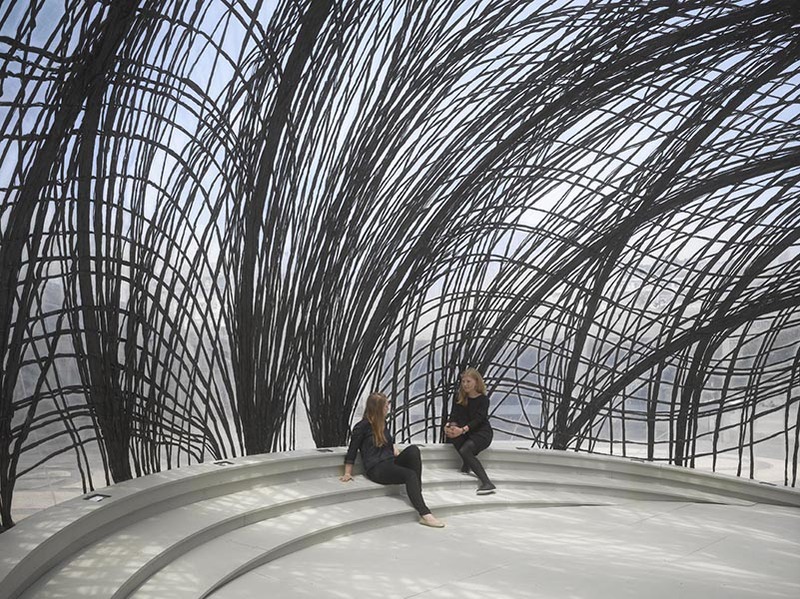 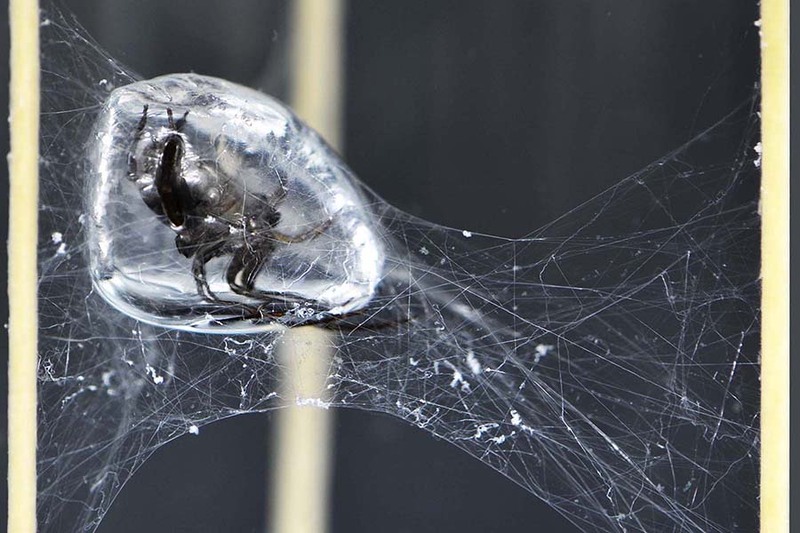 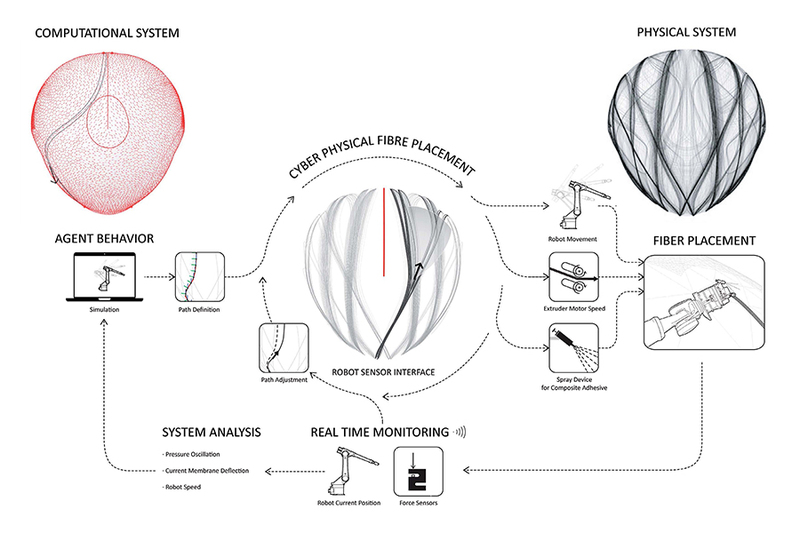 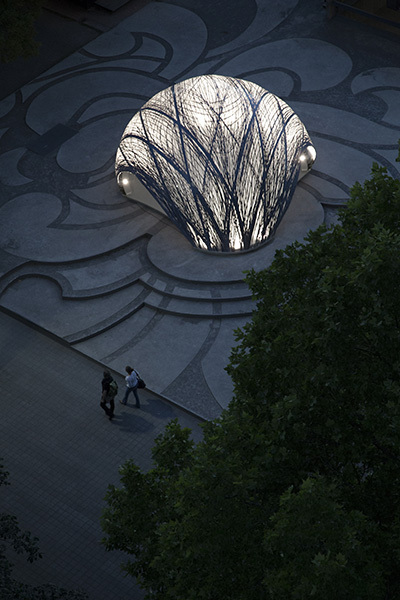 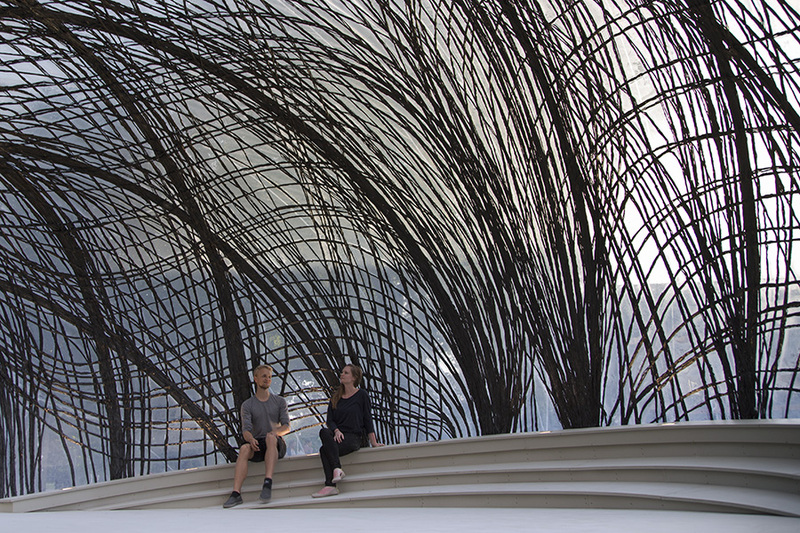 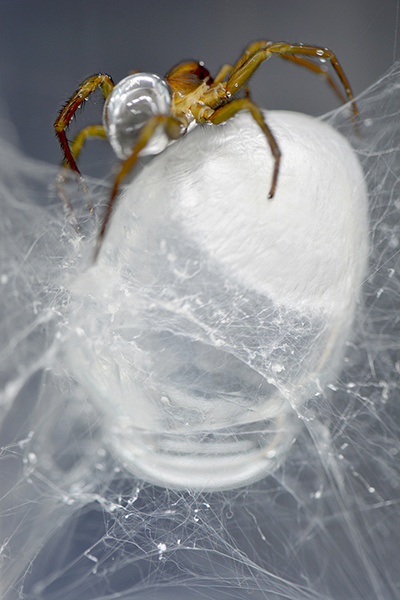 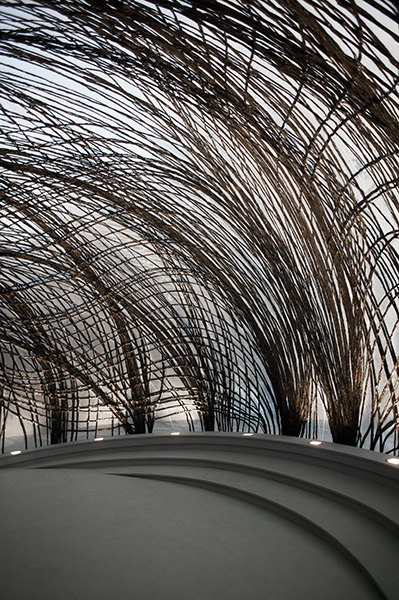 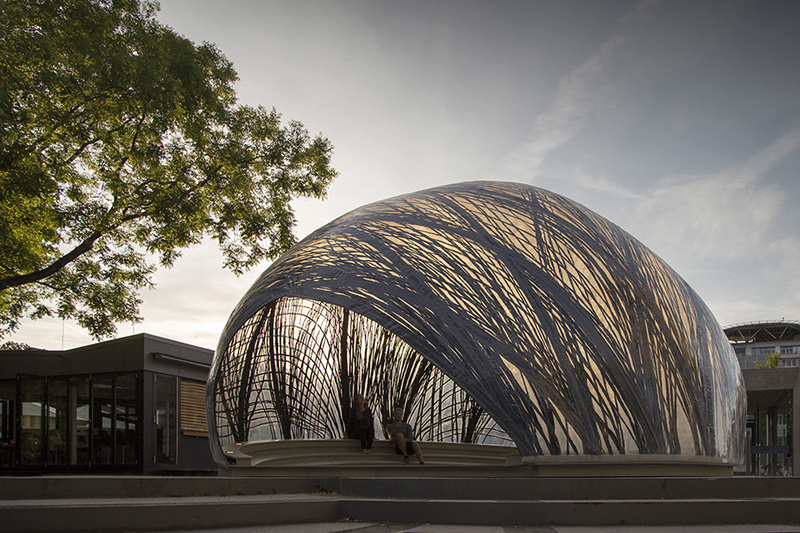 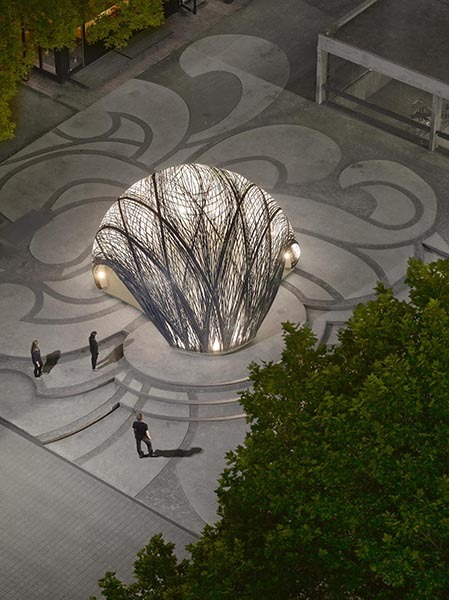 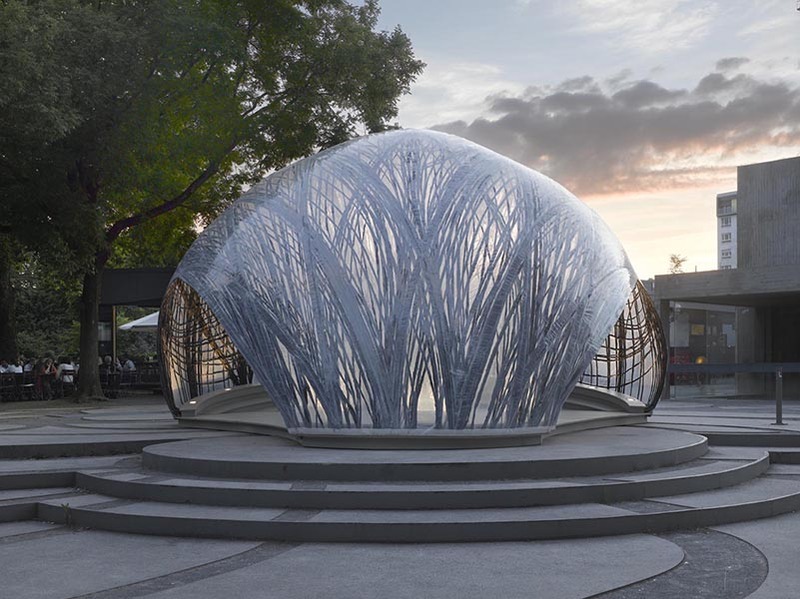 The ICD/ITKE Research Pavilion 2014-15 demonstrates the architectural potential of a novel building method inspired by the underwater nest construction of the water spider. 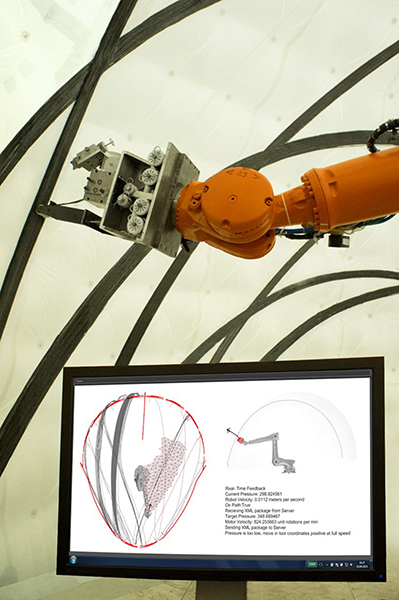 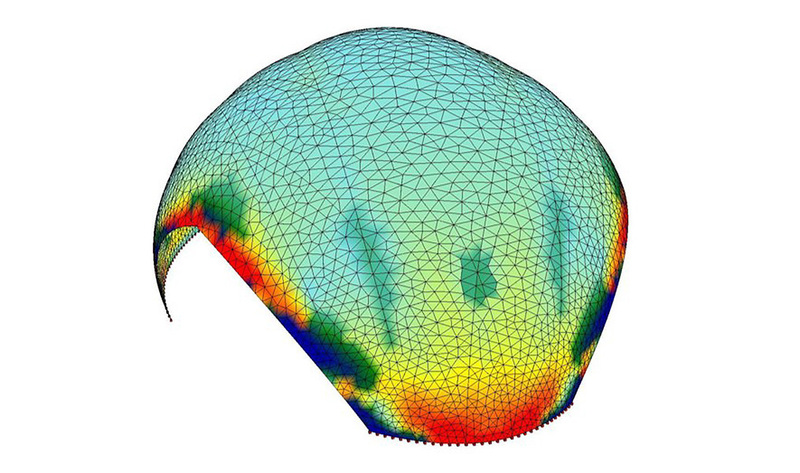 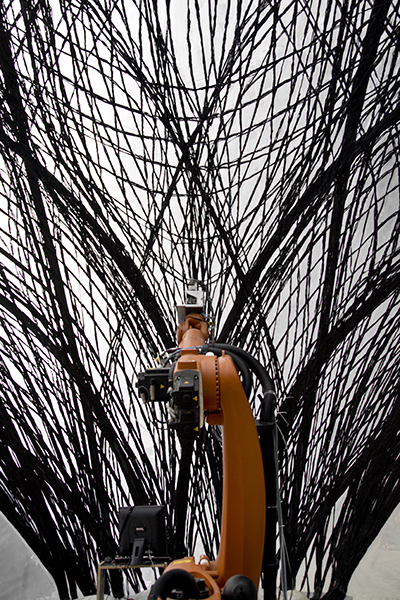 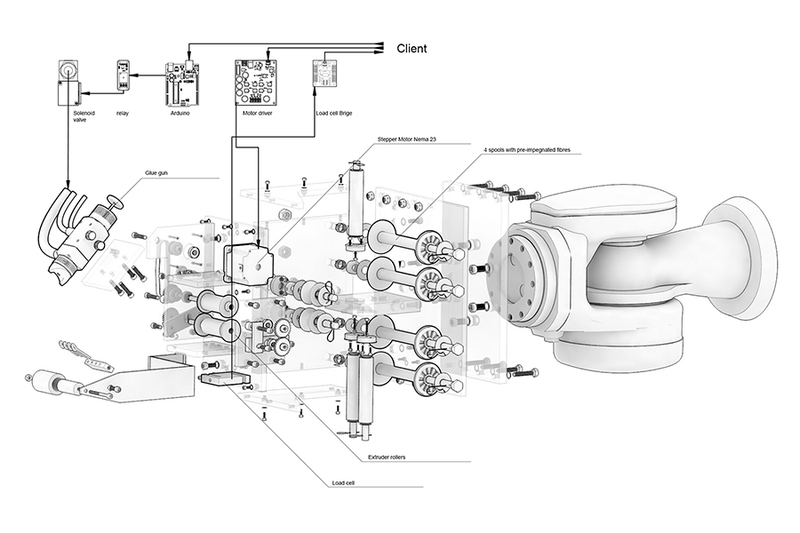 Through a novel robotic fabrication process an initially flexible pneumatic formwork is gradually stiffened by reinforcing it with carbon fibers from the inside. 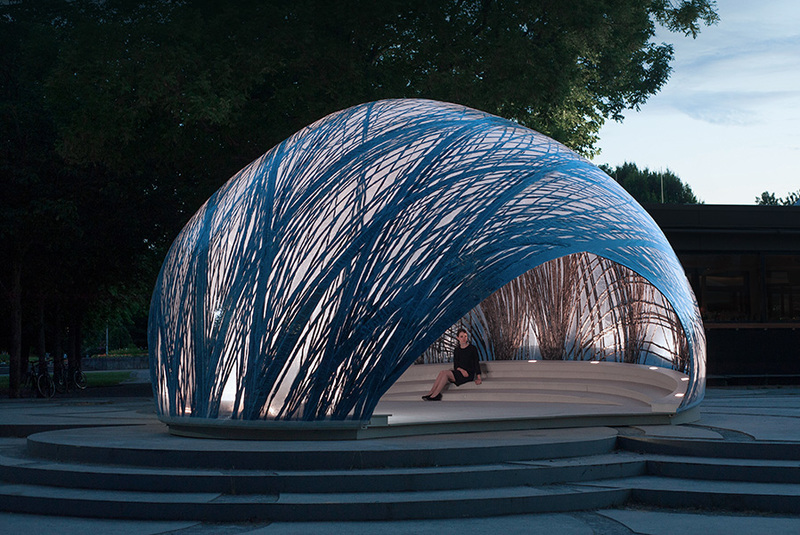 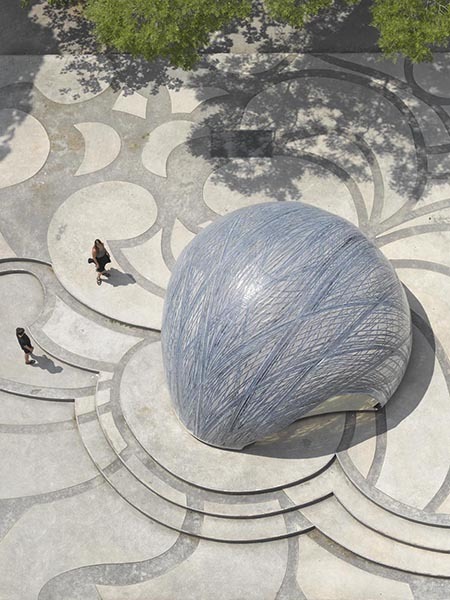 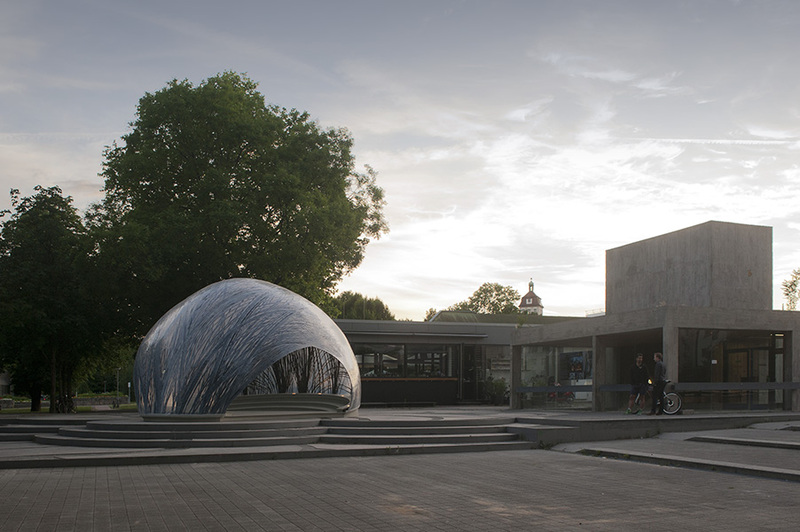 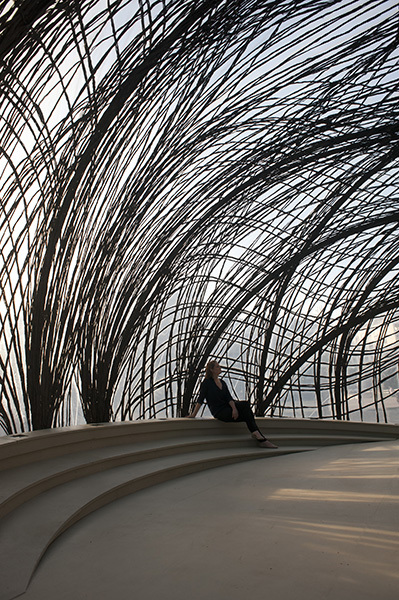 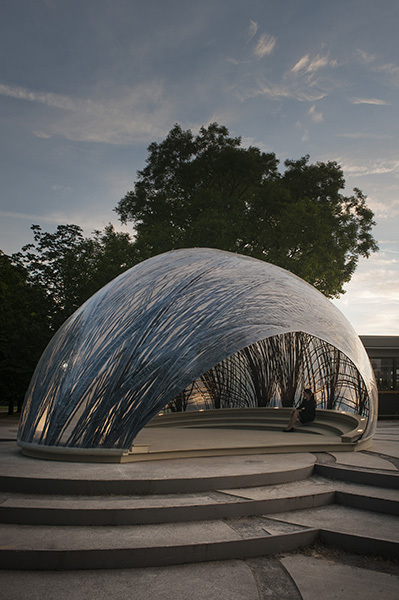 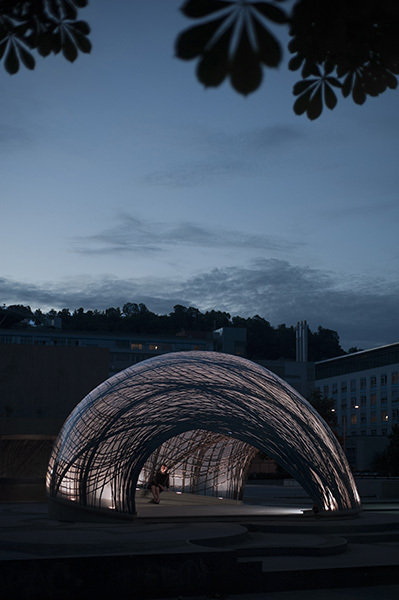 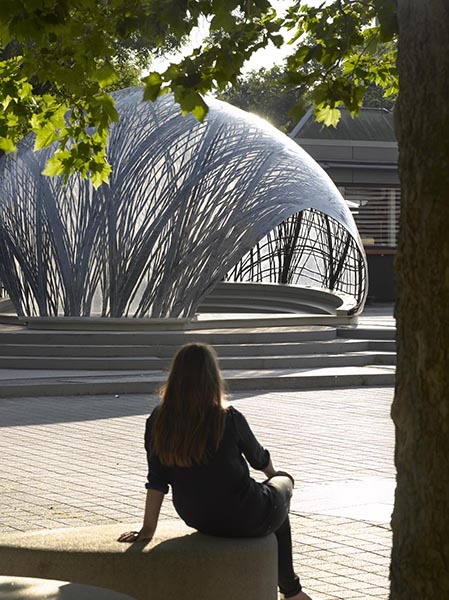 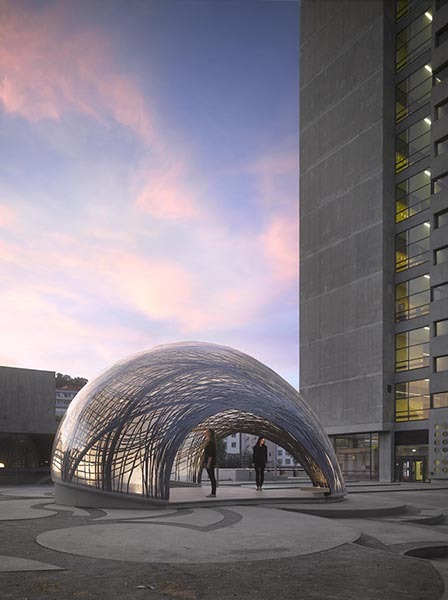 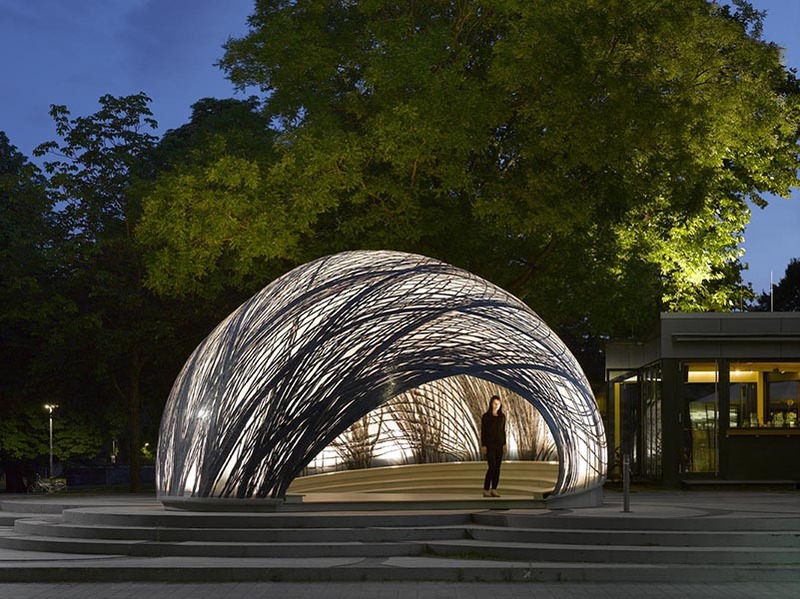 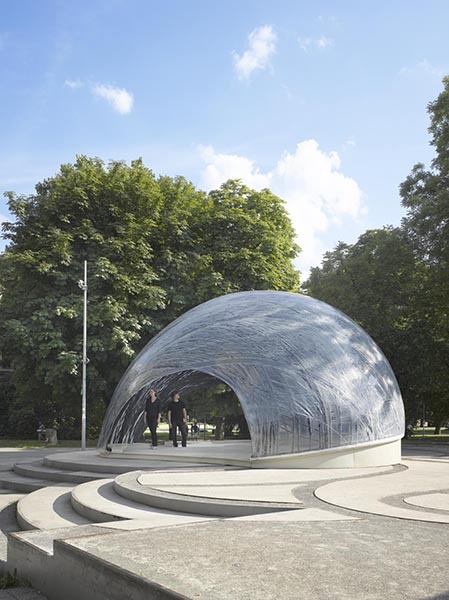 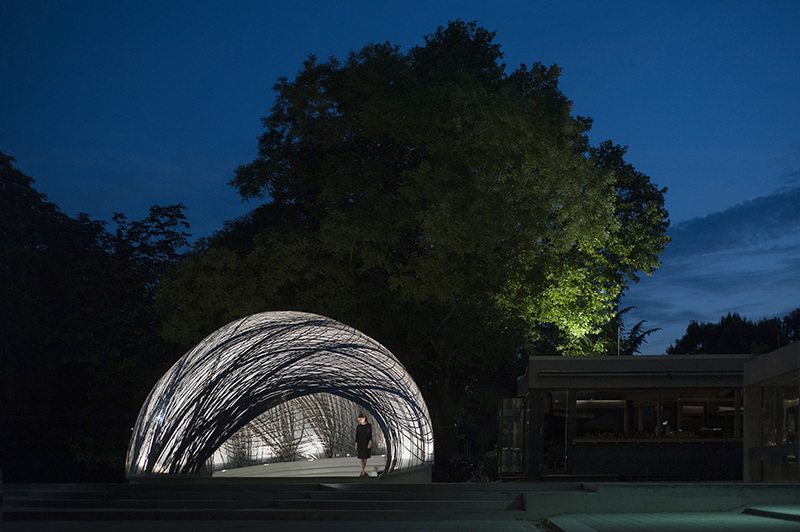 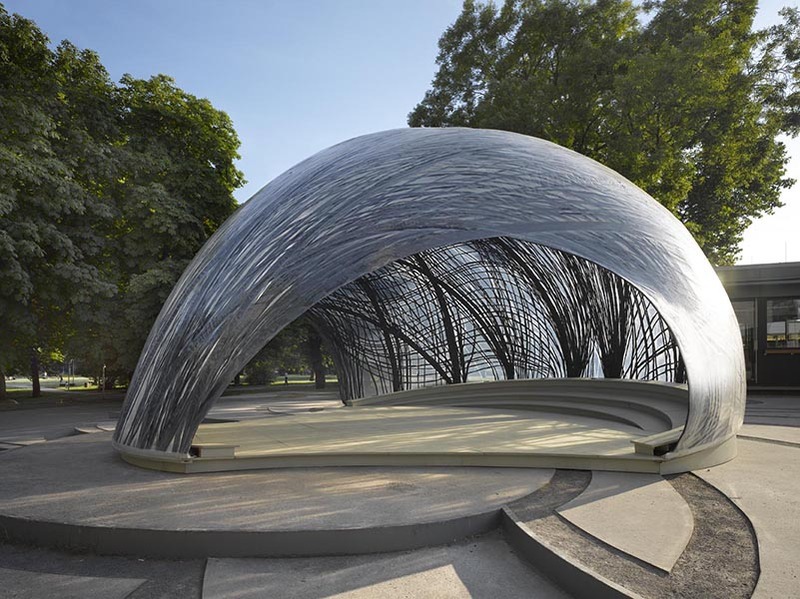 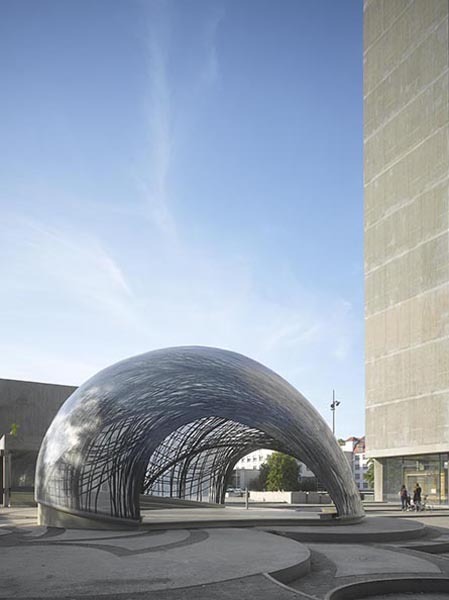 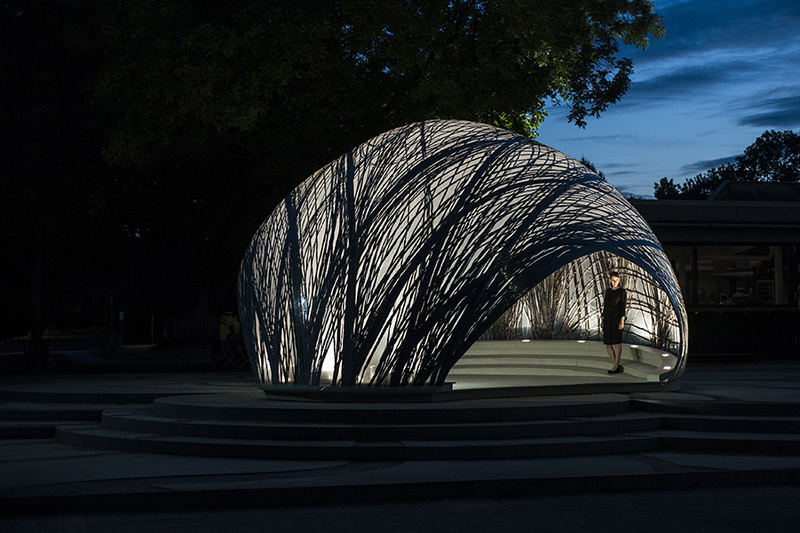 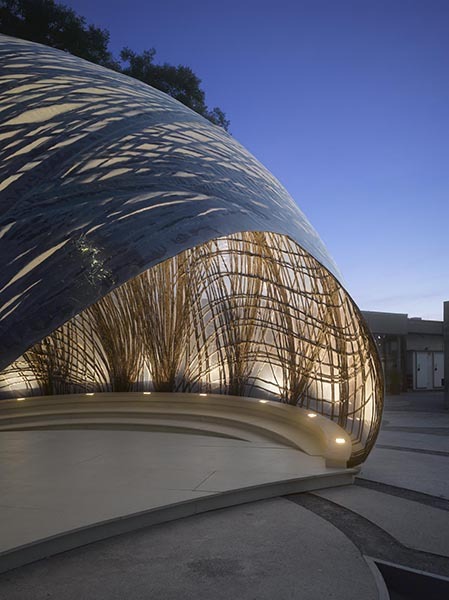 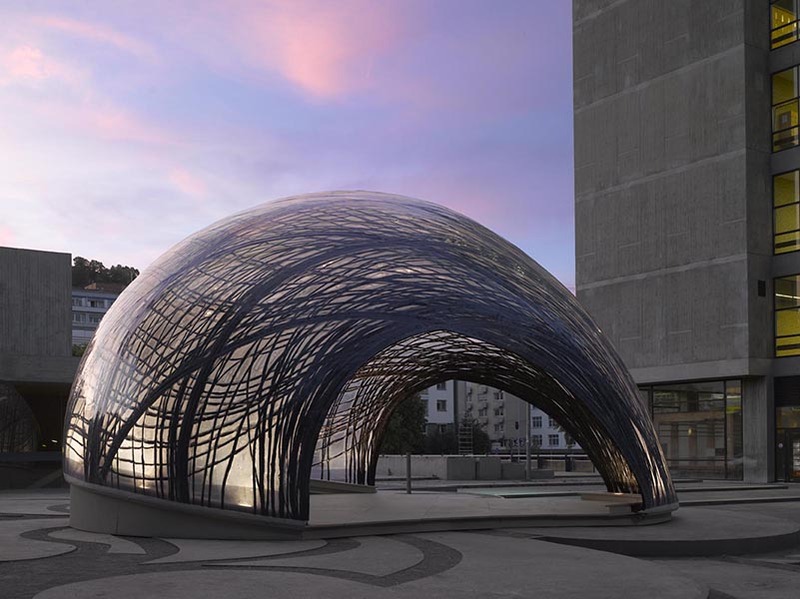 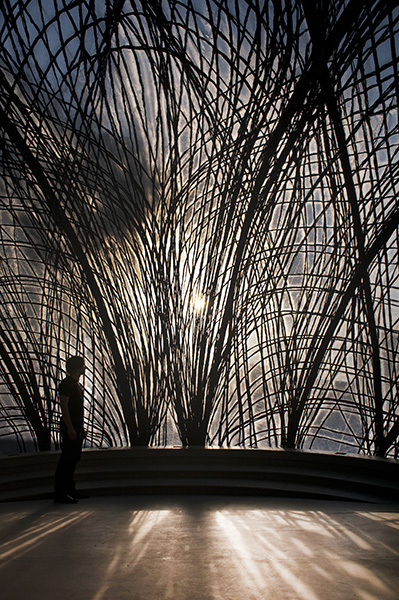 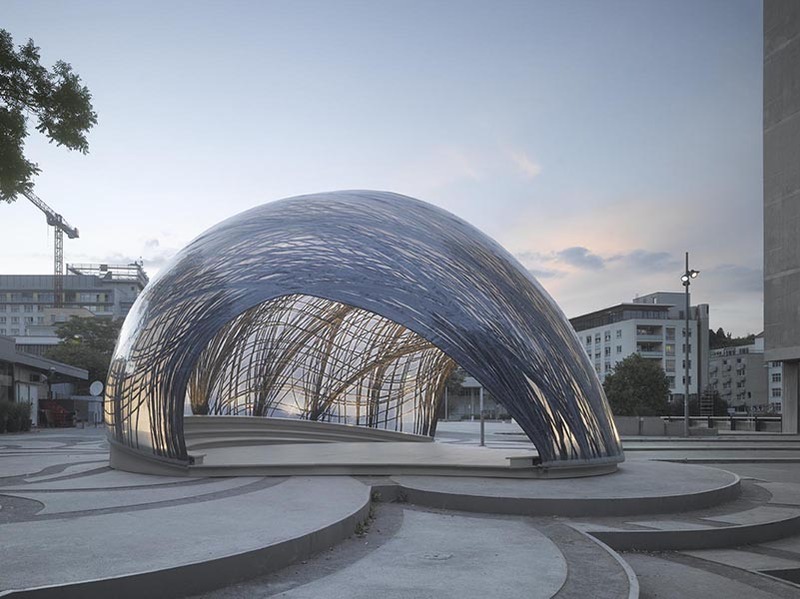 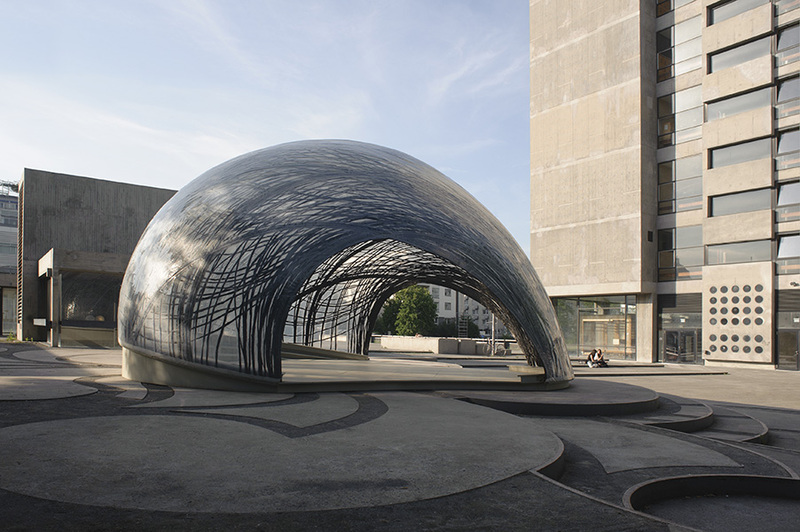 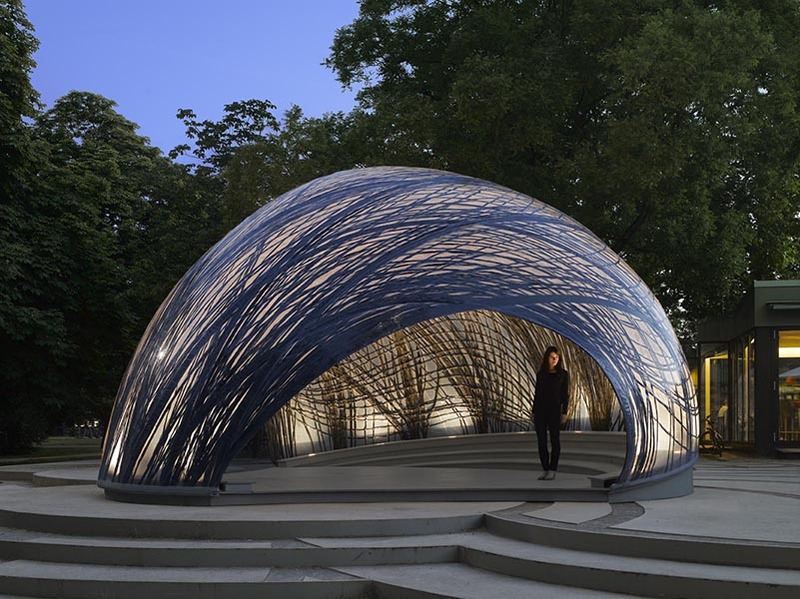 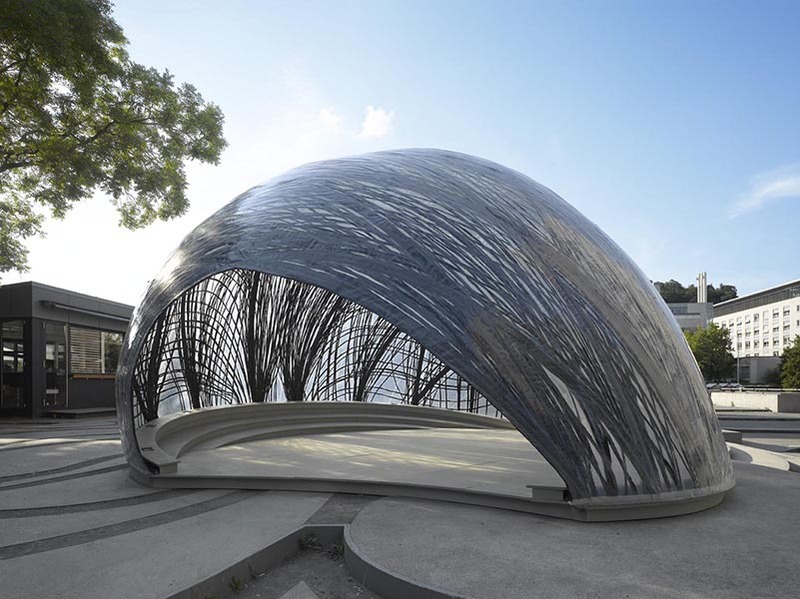 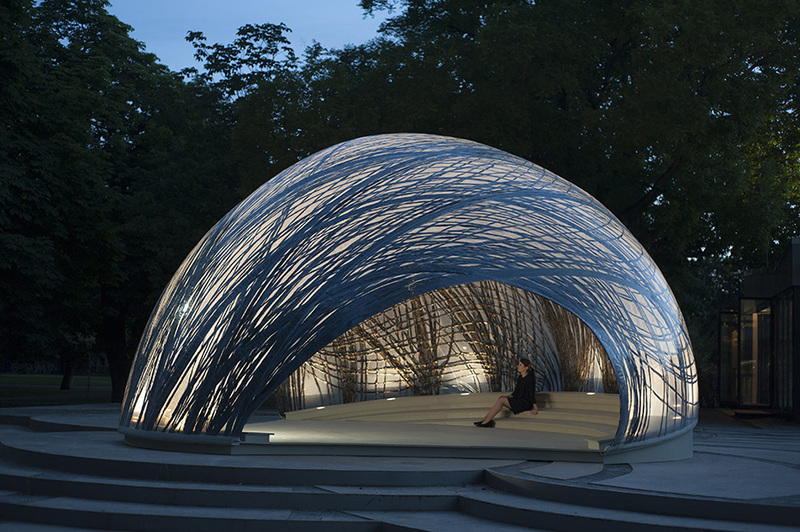 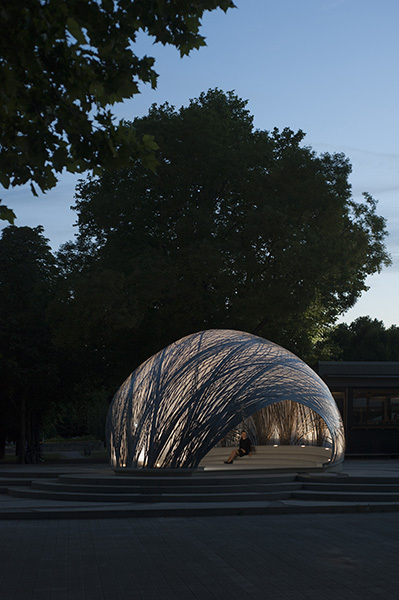 The resulting lightweight fiber composite shell forms a pavilion with unique architectural qualities, while at the same time being a highly material-efficient structure.